Ray Ban RB 2447 - Spotted Green Havana Need Help? Ray Ban 2447 "Round Fleck" is a classic rounded design with optically textured premium acetate rims on metal temples. 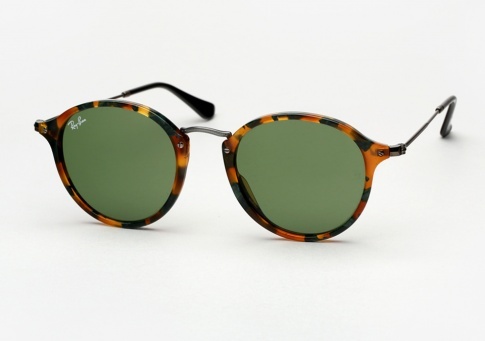 It is offered here in "Spotted Green Havana" with G15 (grey green) lenses.